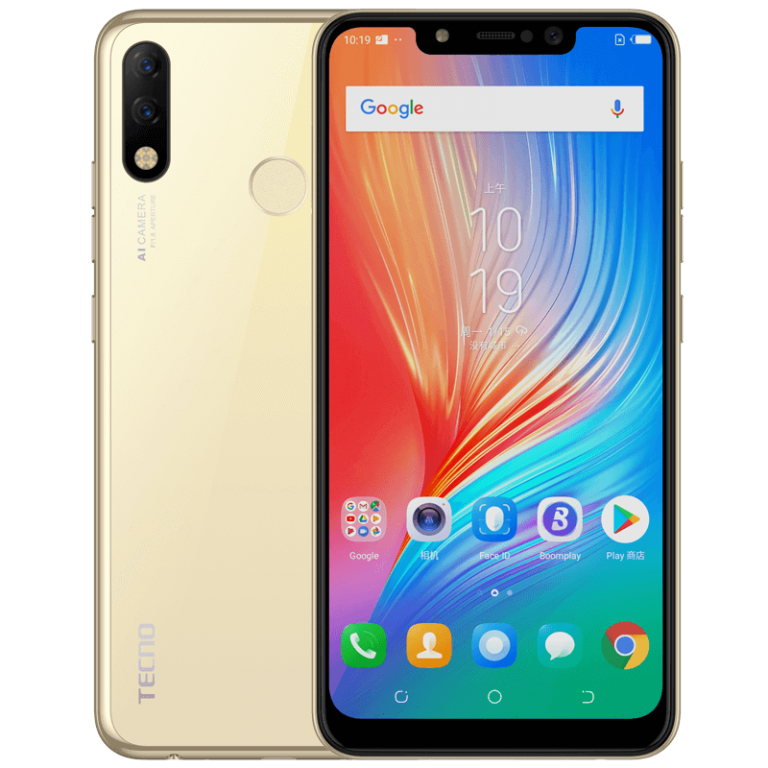 Piggybacking on the success of the Spark series introduced into the African market 2 years ago, Tecno has just unveiled the wraps on the series’ iteration for this year – say hello to the new Tecno Spark 3 Pro. 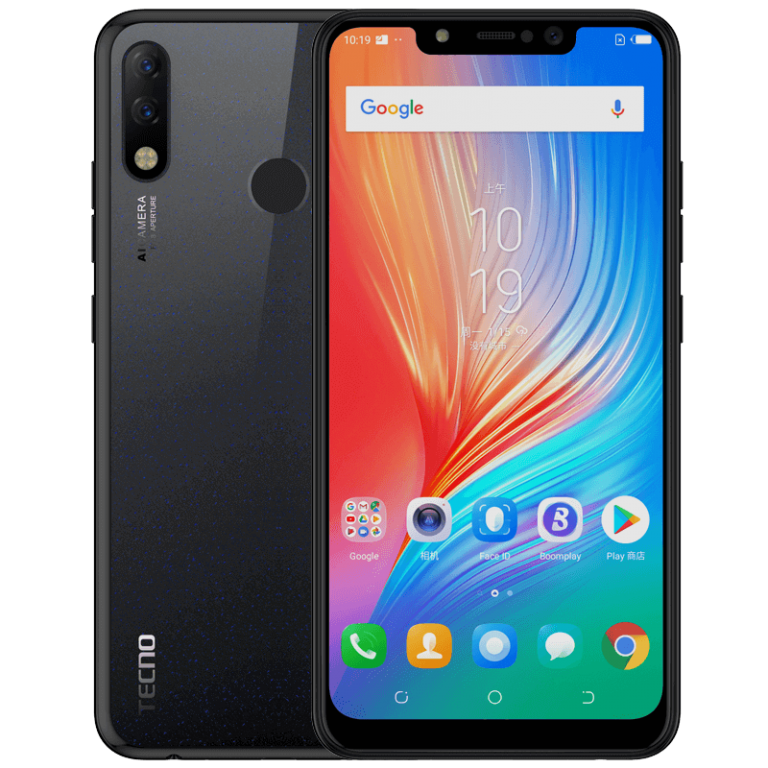 On the software front, the new Tecno Spark 3 Pro ships with the latest and greatest version of the Android operating system right out of the box – Android version 9 (pie) – albeit skinned with Tecno’s custom user interface. The device is an LTE-enabled one which has dual SIM support – with the capability to have two LTE SIMs within the device at the same time. Design-wise the Spark 3 pro has an external aesthetic very similar to the Huawei P20 Pro but with the fingerprint reader at the back, and fewer premium materials. The display, as seen above, is a notched “tall” 6.2-inch IPS LCD panel with a 720 by 1500 pixels resolution and a resulting pixel density of about 268 pixels per inch. As far as display protection goes, the Spark 3 Pro does not ship with a dedicated protective glass surface (like say, Gorilla glass) so you would have to purchase a protective covering yourself. Beneath its extremely glossy exterior, the Tecno Spark 3 Pro is rocking one of MediaTek’s newer SOCs — the Mediatek Helio A22 -– which makes this Spark a 64 Bit quad-core device having a maximum CPU frequency of around 2.0GHz. Also, graphics on the device are handled by the IMG PowerVR GPU. While introducing the device on the day it was launched, a lot of emphases was placed on the Spark 3 Pro and how it would be able to take stunning “AI” photos (selfies and regular photos alike). The front facing camera featured on the device is an 8 MP “AI” camera which has its own dedicated LED flashlight (as seen above) and is also used for unlocking the device with one’s face. The rear camera, on the other hand, is a dual setup. This dual setup features a 13 MP primary shooting lens, and a 2 MP secondary camera. Word is Tecno, on the Spark 3 Pro, would be using the secondary lens to collect depth information to produce portraits with better bokeh. To keep the device running, a non-removable 3500 mAh Li-Ion battery is present within the Spark 3 Pro.